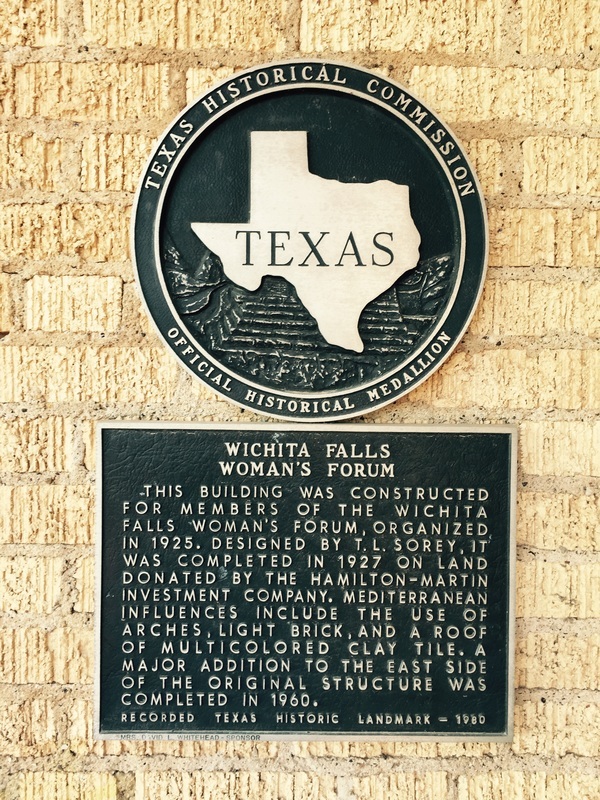 This building was constructed for members of the Wichita Falls Woman's Forum, organized in 1925. Designed by T. L. Sorey, it was completed in 1927 on land donated by the Hamilton-Martin Investment Company. Mediterranean influences include the use of arches, light brick, and a roof of multicolored clay tile. A major addition to the east side of the original structure was completed in 1960. 2120 Speedway Avenue, Wichita Falls, Texas 76308. GPS 33-degrees 53' 17.42" N, 98-degrees 30' 48.52" W.